How to enable ADAL(Modern Authentication) for Skype for Business Online? To enable ADAL(Modern Authentication) for Skype for Business Online, please follow these steps below. 0) Please install 「PowerShell」 3.0 or later version. 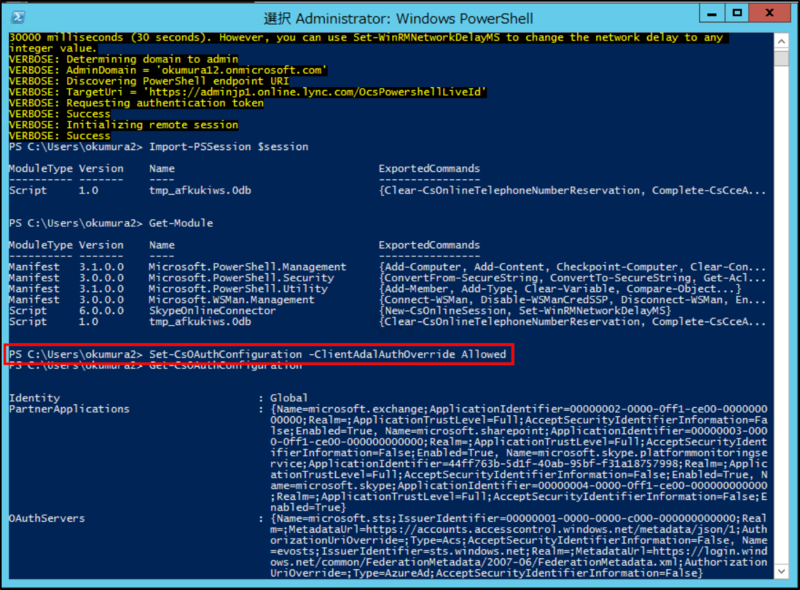 1) Please install「Windows PowerShell Module for Skype for Business Online」from the URL below. 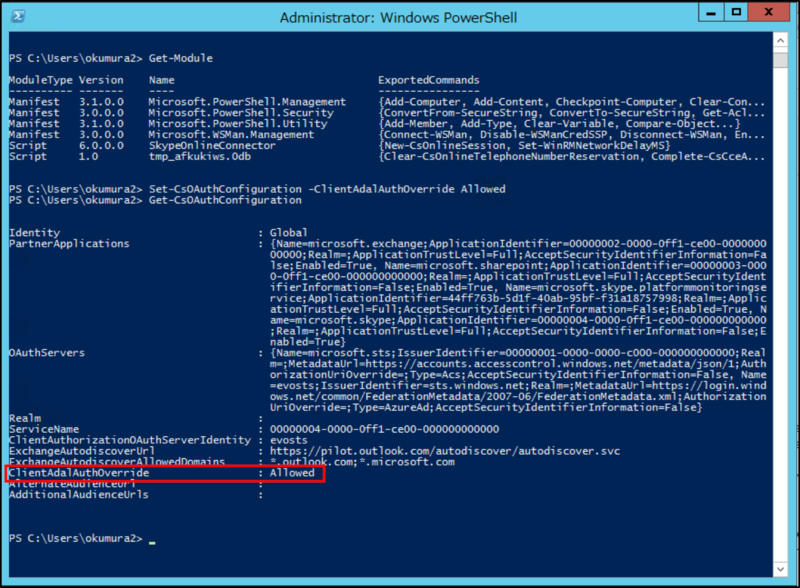 2) Run PowerShell as administrator, and execute the commands below to connect to Skype for Business Online. $credential = Get-Credential ※You will need to login as Office365 Admin. 3) Use the command to ensure the successful connection to Skype for Business Online. ※Row number will be decided by each environment situation. 3) Execute the command to enable ADAL(Modern Authentication) for Skype for Business Online. 4) Execute the command to ensure you have enabled ADAL(Modern Authentication) for Skype for Business Online. If ClientAdalAuthOverride field becomes "Allowed", you have completed the activation.